It could be argued, but most will agree, there is nothing as striking as a black sports car with a mirror finish. The down side of a car like this is the slightest bit of dirt or the smallest of scratches can be seen immediately. 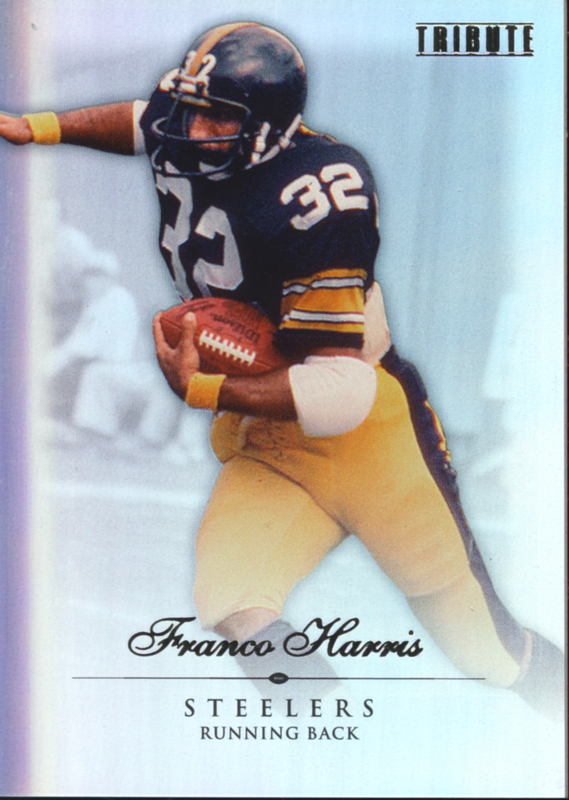 The Topps Tribute line of cards is just the same. 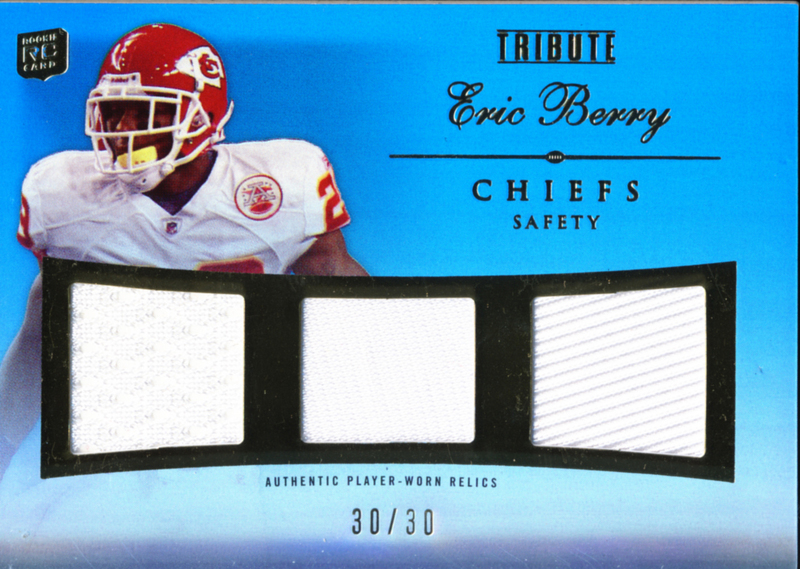 In a pristine state, they are stunning cards, but their edge-to-edge mirror foil finish magnifies the most minor scratch, fingerprint or miscut. In other runs of these cards, like the 2010 Topps Tribute Baseball Cards we opened for a video box break last year, we had a few cards that had some roughly cut edges and some minor scratching. 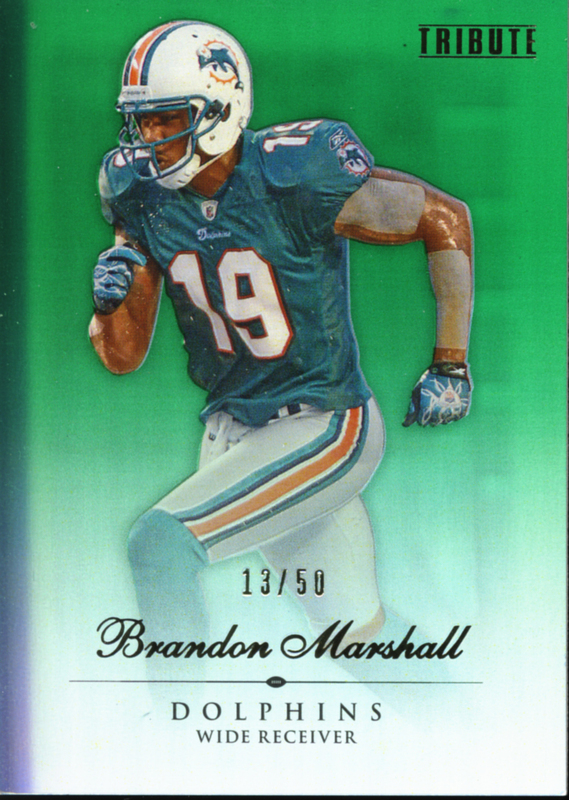 For 2010 Topps Tribute Football, they seem to have worked these problems out and the cards now come very close to living up to their full potential. We classify 2010 Topps Tribute Football as premium cards. 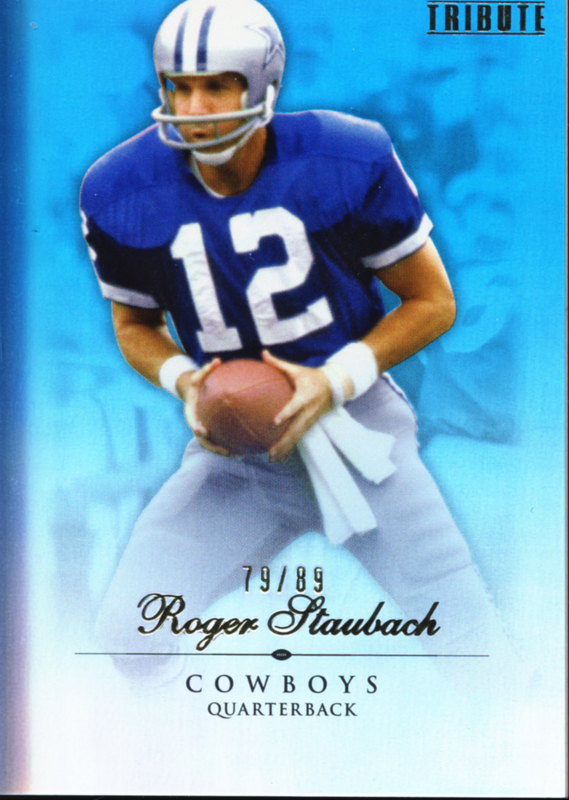 Each hobby exclusive box contains 6 – 5 card packs with a promise of one relic or autographed relic card numbered to 99 or less in every pack.. 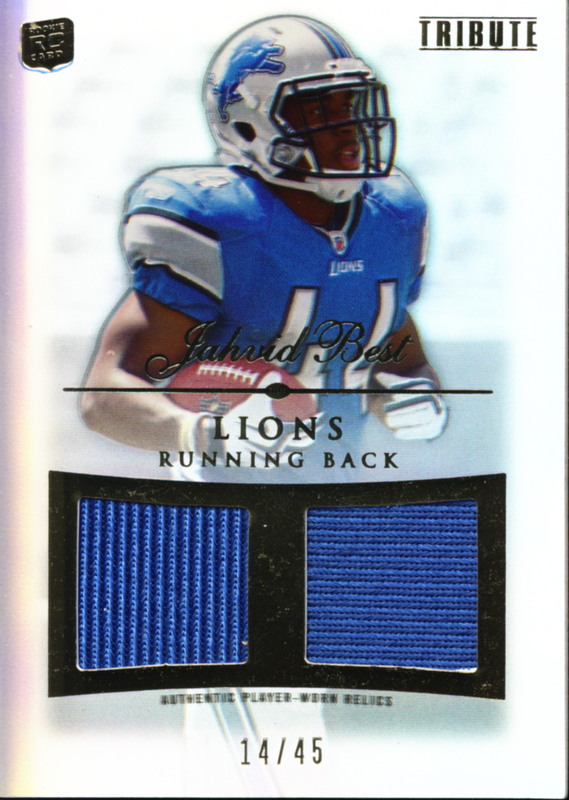 There are also base parallels in a variety of colors and number runs from #/89 down to 1/1s. Let's take a look at the cards we pulled from the box. 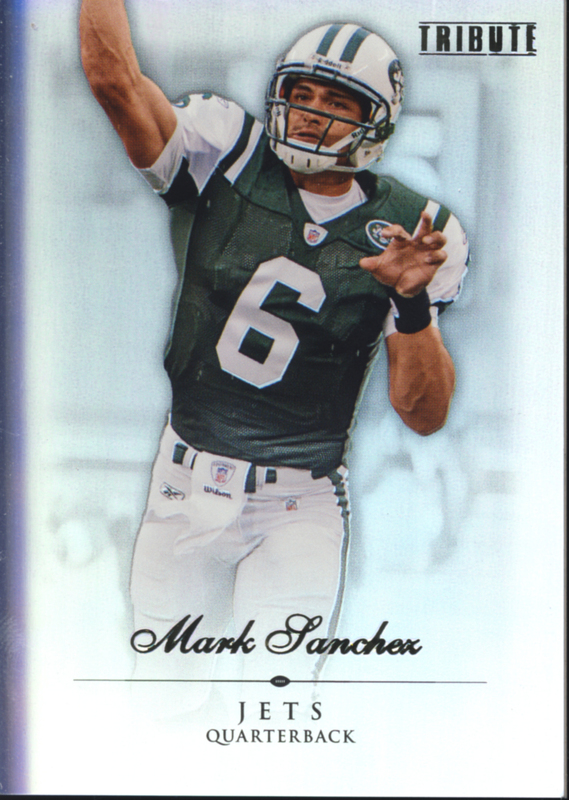 Mark Sanchez front of card and back. 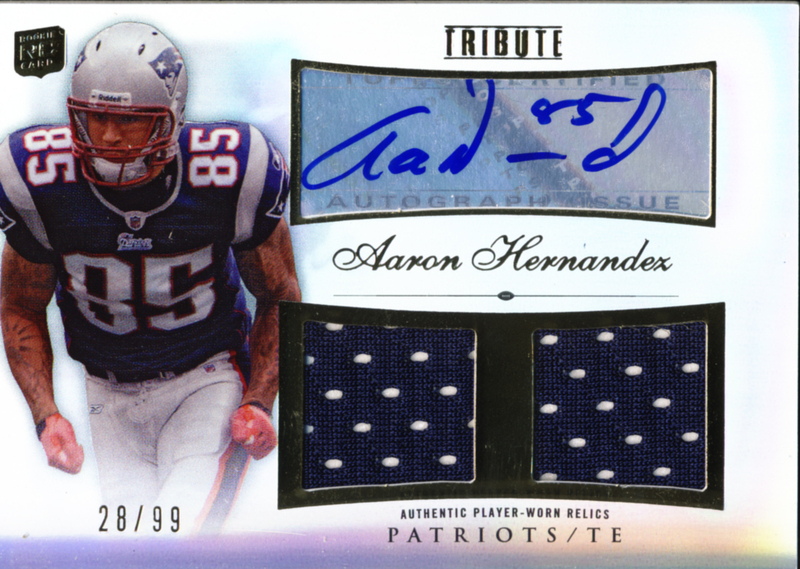 2010 Topps Tribute Football continues its tradition of solid design. 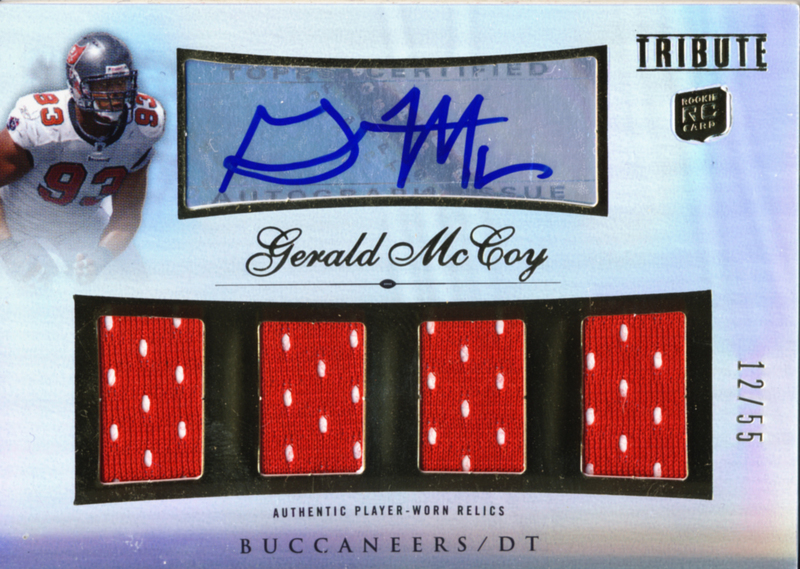 It’s a box about hits but even the base cards are stunning. 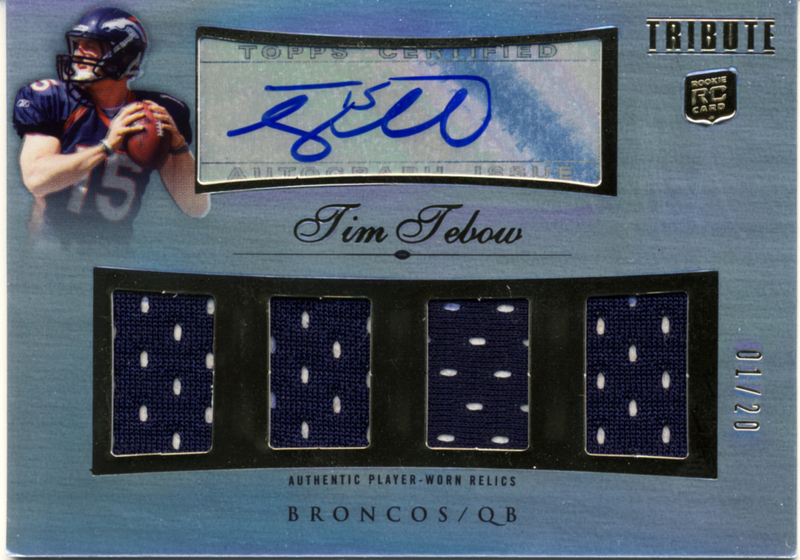 Placement for autographs and materials are well designed and allow for those to be showcased. Sometimes the thin gold foil cursive fonts can get lost in the mirror finish, (which you can not tell from the scans) but we prefer that to an overbearing design. Against a darker background like black or blue, the gold foil looks regal and gives the card an air of sophistication. 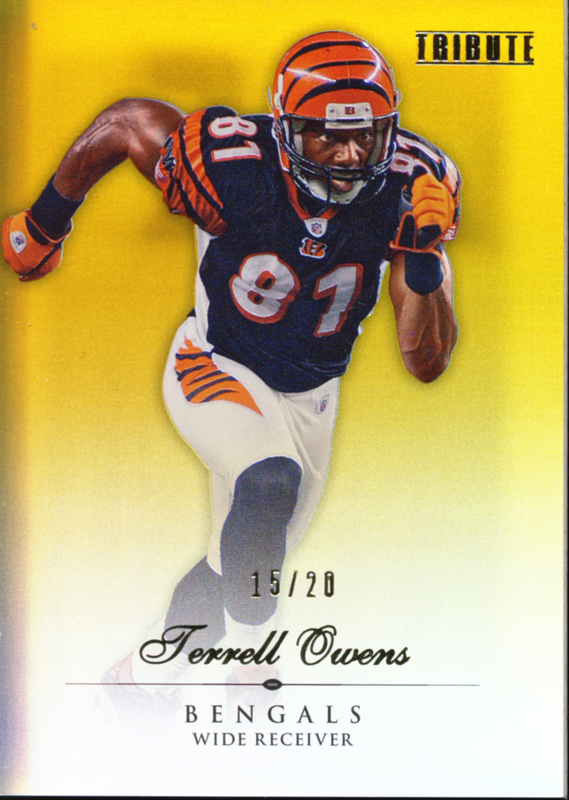 With only 100 players, Topps can keep this set to the best of the rookies, the veteran and emerging stars of today and a select few greats of the past. 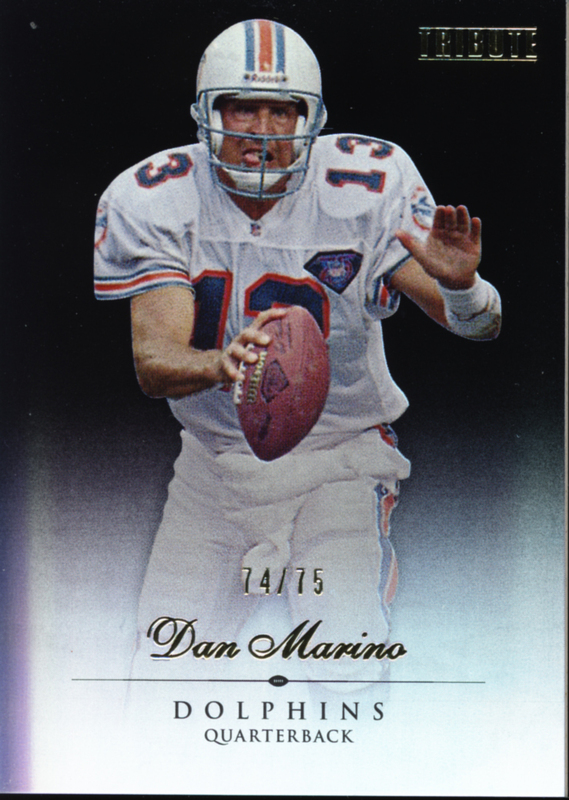 It will be hard to pull a card out of this set that you don’t want. 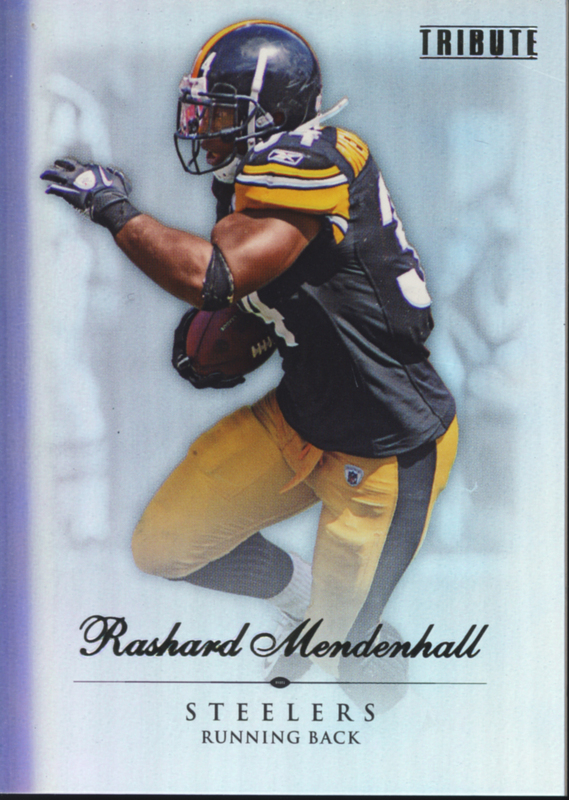 With a large hit and numbered parallel in every pack, close to half of the cards are non base, an excellent ratio. 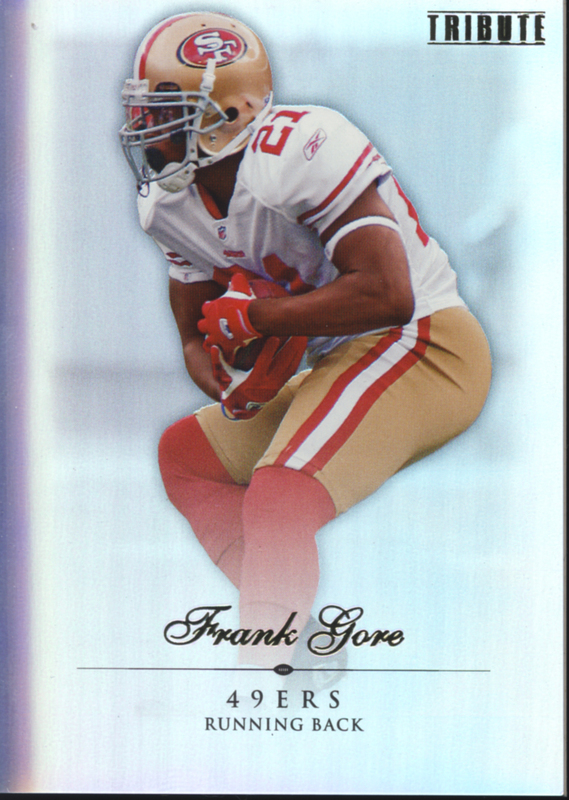 The base cards are as good as any insert from another set so you'll be happy with those too. The hits for the most part are very pleasing and if you wind up with a great box like we did, its one big thrill ride. With the price point of these cards very close to our Ultra Premium category, the question “will you keep coming back for more?” might not even be an option for some, but if you can’t, you will still want to. 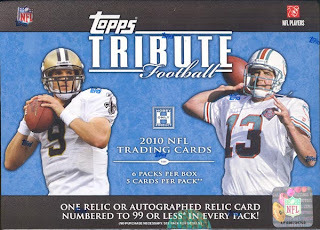 And if purchasing a second box is not possible, certain hobby shops might even sell 2010 Topps Tribute Football by the pack, but expect to pay a premium for that privilege. 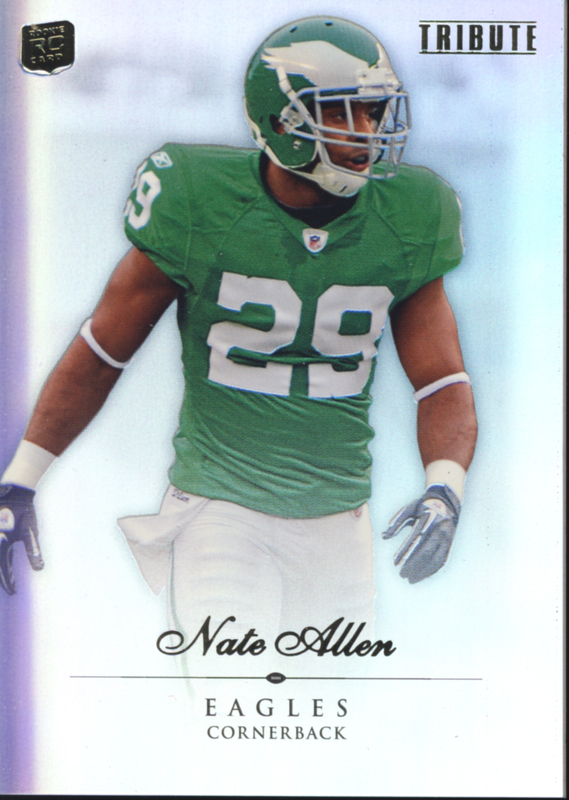 2010 Topps Tribute Football is the best demonstration to date of what this line of cards can be, but they still must be handled with care. 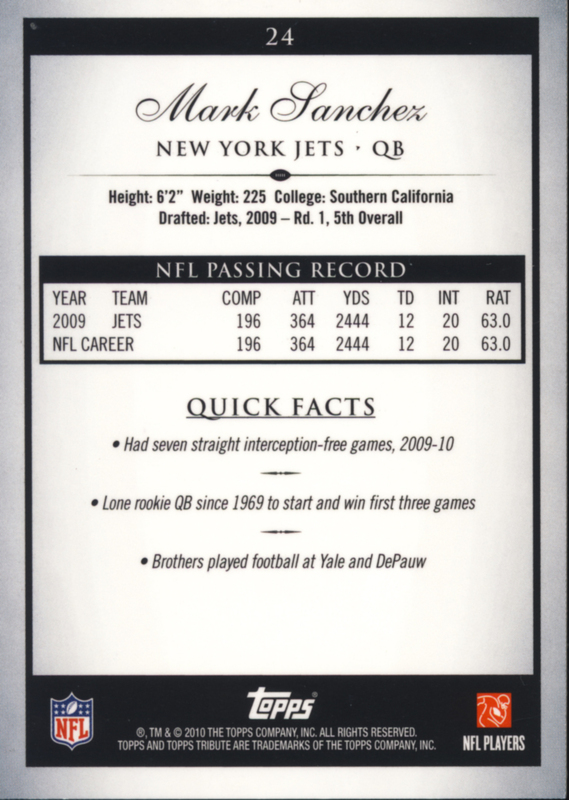 These sophisticated cards are a worthy tribute to the players they display.